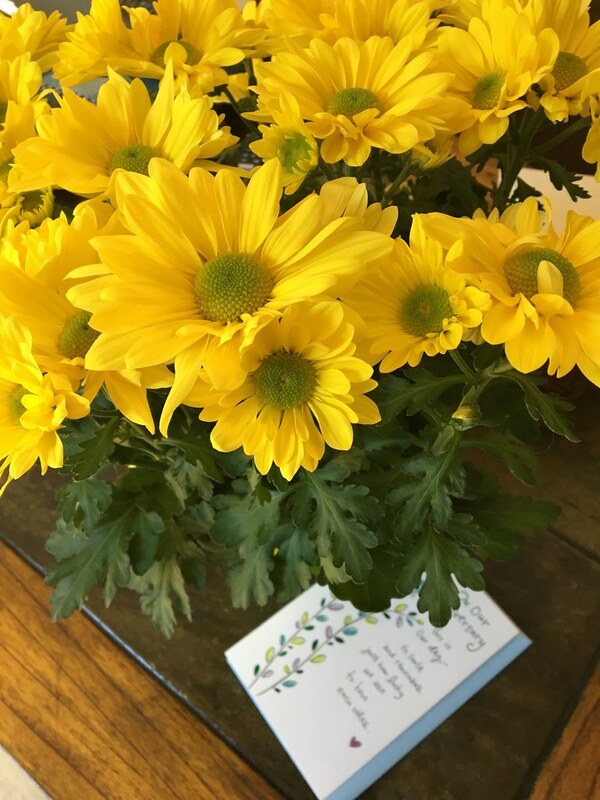 Thank you for the beautiful yellow daisies and card. Happy fourth wedding anniversary, my dear Kepi! We've been through a lot - from my diagnosis, clinical trial appointments, transfusions, hospital stays, the search for my bone-marrow donor, my most awaited transplant to recovery - but you never left my side. We are facing another test, but I know we will get through it TOGETHER. As you always say, "We're gonna be alright." 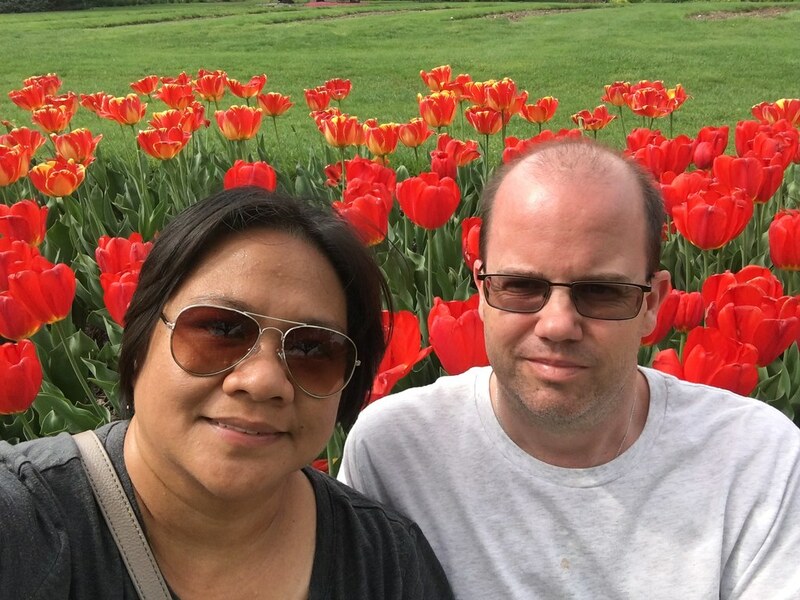 Every year during our wedding anniversary week, it's been our tradition to visit where we got married, the Hershey Gardens, and visit the blooming tulips as well. 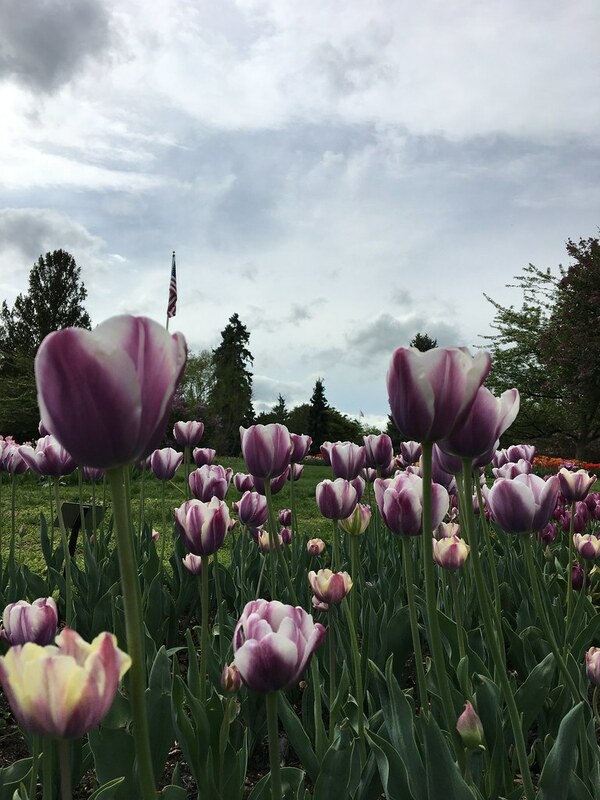 You see, we timed our wedding date during the peak bloom of the tulips. This year, we missed the peak bloom but we still saw a lot of flowers. My heart always skips a beat when we're here. This is exactly the location of our wedding venue. We had a small, simple and beautiful wedding. 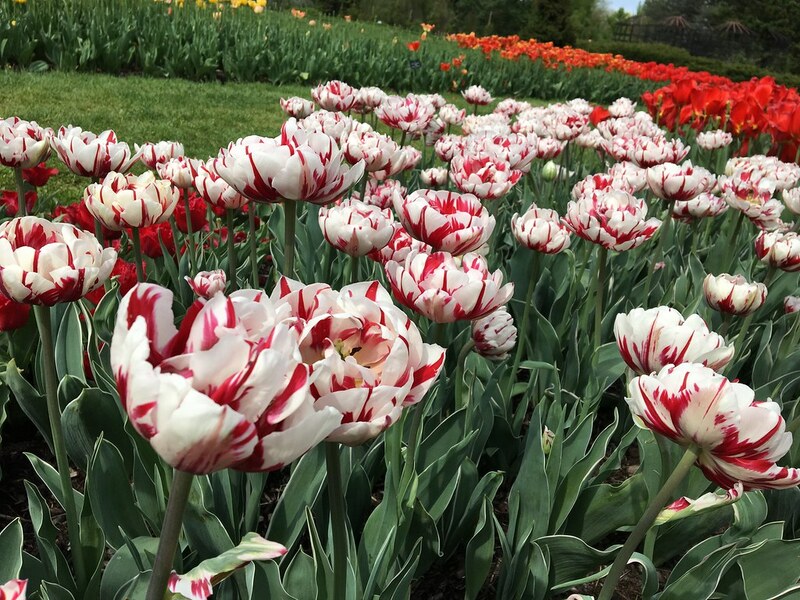 Surrounded by a few family, friends and crowded by all the tulips in full bloom. These are the late blooming double petaled tulips. A twofie with the red tulips. Love these orange beauties too. These yellows look like crowns. These tulips are my favorite - beautiful purples. Another twofie with the azaleas. Happy Anniversary Kayni! 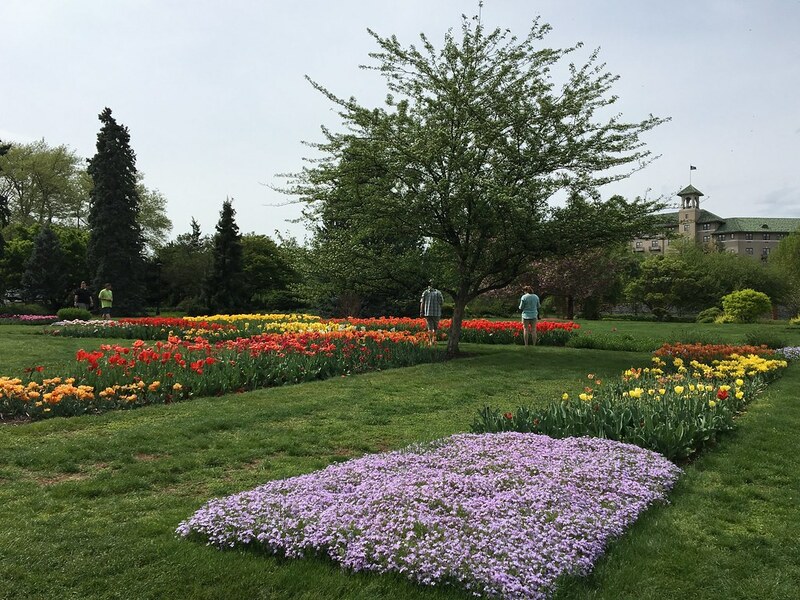 Hershey Gardens was the perfect place to get married with the beautiful tulips. 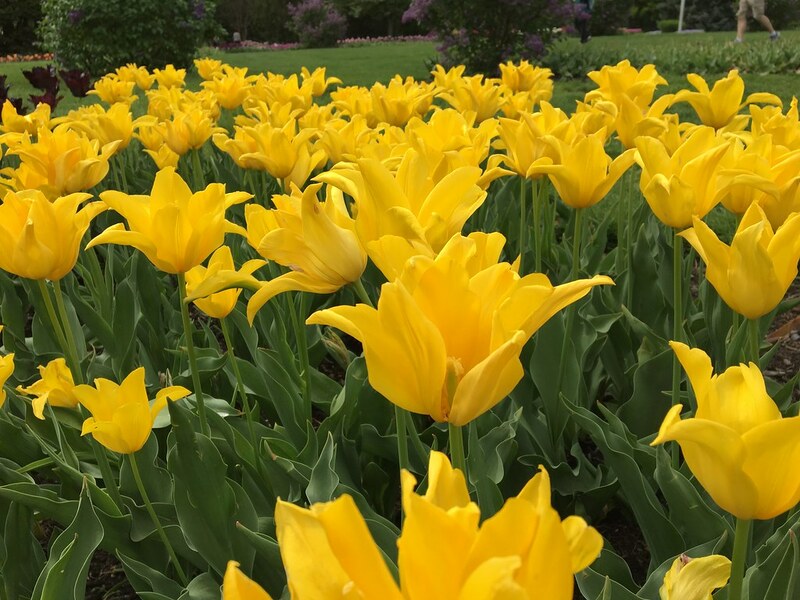 I look forward every year to seeing what the tulips have to in store for us and to celebrate another year together. I can't wait to see what the next year as in store. Me too Kepi :). Thank you for another wonderful year and more years to come. You picked a great spot to start your life as a tandem and a good man to share this journey. Thank you for the sweet message, Daphne. 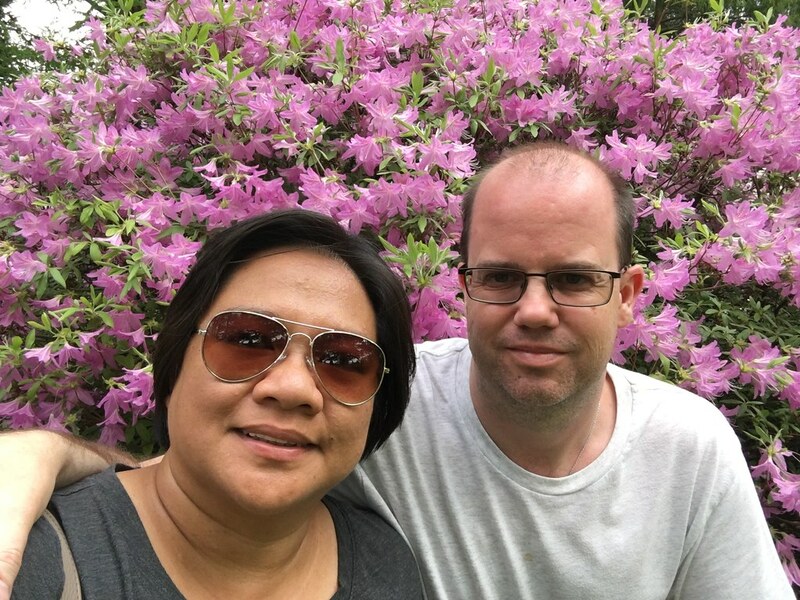 How precious that you have found such a beautiful spot to start your life together and that you can revisit it each year for your anniversary. Hugs. 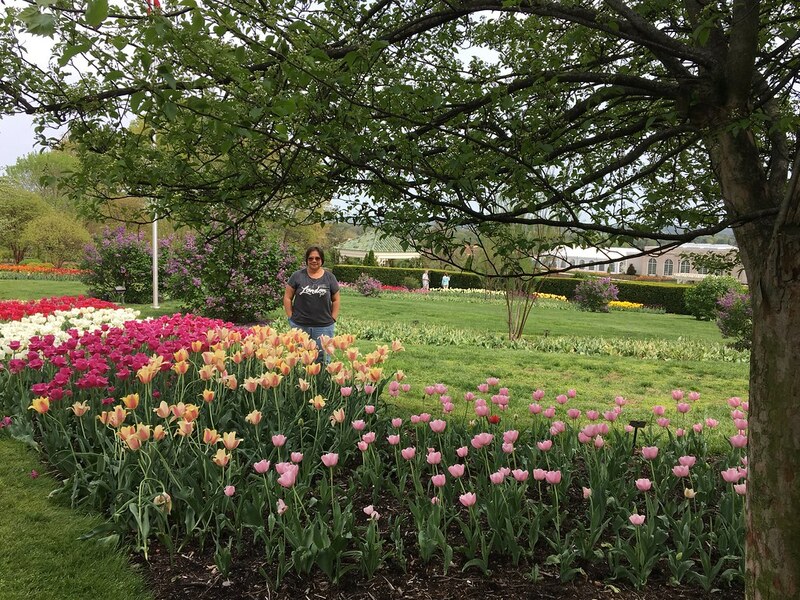 We visited Hershey Gardens a couple of times before the wedding, so we kinda knew the timing of the Tulips. 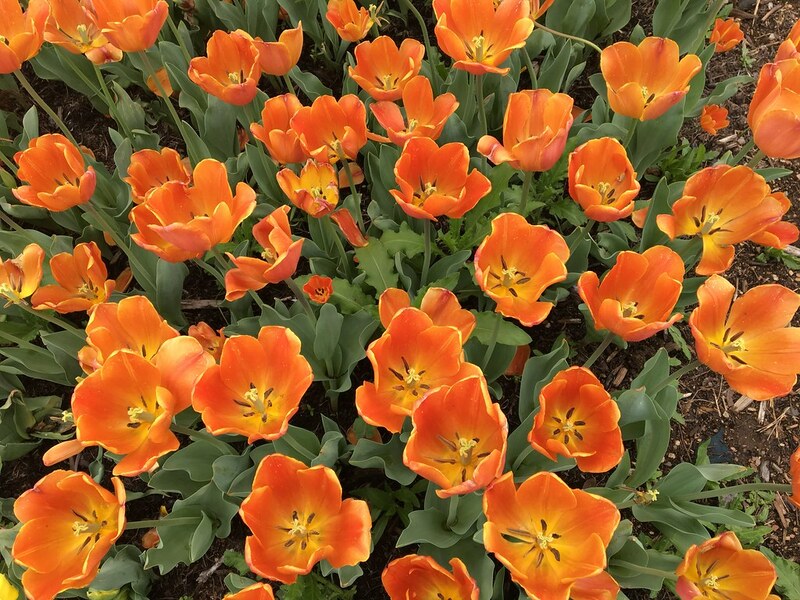 God smiled that day because the Tulips were in full bloom. Thank you for visiting, Photo Cache. Happy 4th anniversary. What a beautiful venue for a wedding! The flowers are absolutely gorgeous.